The Latest Images of Ultima Thule are in, and they are the Sharpest Yet! On December 31st, 2018, the New Horizons probe conducted the first flyby in history of a Kuiper Belt Object (KBO). Roughly half an hour later, the mission controllers were treated to the first clear images of Ultima Thule (aka. 2014 MU69). Over the course of the next two months, the first high-resolution images of the object were released, as well as some rather interesting findings regarding the KBOs shape. Just recently, NASA released more new images of Ultima Thule, and they are the clearest and most detailed to date! The images were taken as part of what the mission team described as a “stretch goal”, an ambitious objective to take pictures of Ultima Thule mere minutes before the spacecraft made its closest approach. And as you can no doubt tell from the pictures NASA provided, mission accomplished! The New Horizons mission, which its conducted its historic flyby on July 14th, 2015, has yielded a wealth of scientific data about Pluto. This has included discoveries about Pluto’s size, its mountainous regions, its floating ice hills, and (more recently) how the dwarf planet interacts with solar wind – a discovery which showed that Pluto is actually more planet-like than previously thought. But beyond revelations about the planet’s size, geography and surface features, it has also provided the most breathtaking, clear, and inspiring images of Pluto and its moons to date. And with this latest release of images taken by the New Horizon‘s Long Range Reconnaissance Imager (LORRI), people here on Earth are being treated to be the best close-up of Pluto yet. These images, which were taken while the New Horizon’s probe was still 15,850 km (9,850 mi) away from Pluto (just 23 minutes before it made its closest approach), extend across the hemisphere that the probe was facing as it flew past. It shows features ranging from the cratered northern uplands and the mountainous regions in Voyager Terra before slicing through the flatlands of “Pluto’s Heart” – aka. Tombaugh Regio – and ending up in another stretch of rugged highlands. The width of the strip varies as the images pass from north to south, from more than 90 km (55 mi) across at the northern end to about 75 km (45 mi) at its southern point. The perspective also changes, with the view appearing virtually horizontal at the northern end and then shifting to an almost top-down view onto the surface by the end. The crystal clear photographs that make up the mosaic – which have a resolution of about 80 meters (260 feet) per pixel – offer the most detailed view of Pluto’s surface ever. With this kind of clarity, NASA scientists are able to discern features that were never before visible, and learn things about the kinds of geological processes which formed them. This includes the chaotic nature of the mountains in the northern hemisphere, and the varied nature of the icy nitrogen plains across Tombaugh Regio – which go from being cellular, to non-cellular, to a cross-bedding pattern. These features are a further indication that Pluto’s surface is the product of a combination of geological forces, such as cryovolcanism, sublimation, geological activity, convection between water and nitrogen ice, and interaction between the surface and atmosphere. The most distant flyby in the history of space exploration, and yet we’ve obtained more from this one mission than multiple flybys were able to provide from one of Earth’s closest neighbors. Fascinating! And what’s more, new information is expected to be coming from the New Horizons probe until this coming October. To top it off, our scientists are still not finished analyzing all the information the mission collected during its flyby. On July 14th, 2015, the New Horizons probe made history as it passed within 12,500 km (7,800 mi) of Pluto, thus making it the first spacecraft to explore the dwarf planet up close. And since this historic flyby, scientists and the astronomy enthusiasts here at Earth have been treated to an unending stream of breathtaking images and scientific discoveries about this distant world. And thanks to the New York Times and the Universities Space Research Association‘s Lunar and Planetary Institute in Texas, it is now possible to take a virtual reality tour of Pluto. Using the data obtained by the New Horizon’s instruments, users will be able to experience what it is like to explore the planet using their smartphone or computer, or in 3D using a VR headset. The seven-minute film, titled “Seeking Pluto’s Frigid Heart“, which is narrated by science writer Dennis Overbye of the New York Times – shows viewers what it was like to approach the dwarf planet from the point of the view of the New Horizon’s probe. 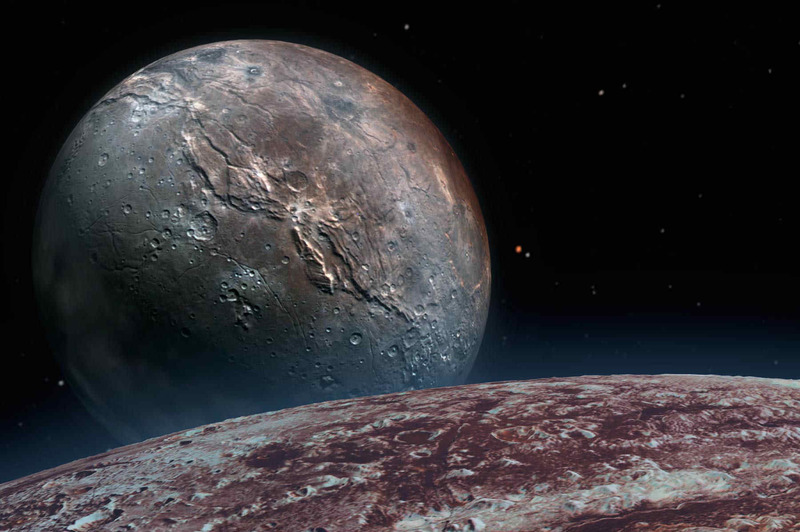 Upon arrival, they are then able to explore Pluto’s surface, taking in 360 degree views of its icy mountains, heart-shaped plains, and largest moon, Charon. This represents the most detailed and clear look at Pluto to date. A few decades ago, the few maps of Pluto we had were the result of close observations that measured changes in the planet’s total average brightness as it was eclipsed by its largest moon, Charon. Computer processing yielded brightness maps, which were very basic by modern standards. In the early 2000s, images taken by the Hubble Space Telescope were processed in order to create a more comprehensive view. Though the images were rather undetailed, they offered a much higher resolution view than the previous maps, allowing certain features – like Pluto’s large bright spots and the dwarf planet’s polar regions – to be resolved for the first time. However, with the arrival of the New Horizons mission, human beings have been finally treated to a close-up view of Pluto and its surface. This included Pluto’s now-famous heart-shaped plains, which were captured by the probe’s Long Range Reconnaissance Imager (LORRI) while it was still several days away from making its closest approach. This was then followed-up by very clear images of its surface features and atmosphere, which revealed floating ice hills, mountains and icy flow plains, and surface clouds composed of methane and tholins. From all of these images, we now know what the surface of this distant world looks like with precision. All of this has allowed scientists here at Earth to reconstruct, in stunning detail, what it would be like to travel to Pluto and stand on its surface. Amazingly, only half of New Horizon’s images and measurements have been processed so far. And with fresh data expected to arrive until this coming October, we can expect that scientists will be working hard for many years to analyze it all. One can only imagine what else they will learn about this mysterious world. And one can only hope that any news findings will be uploaded to the app (and those like it)! The VR app can be downloaded at the New York Times VR website, and is available for both Android and Apple devices. It can also be viewed using headset’s like Google Cardboard, a smartphone, and a modified version exists for computer browsers. The “X” feature – see image above – is located in an area of intersecting cells, shaped like polygons, on the plains of “Sputnik Planum” which are mostly comprised of frozen nitrogen ices. Emotions are rising exponentially with the rousing revelation that Pluto has a huge ‘Heart’ as revealed in stunning new imagery received just today (July 8) from NASA’s New Horizons spacecraft – which has also officially started its intensive flyby campaign merely 5 days out from humanity’s history making first encounter with the last unexplored planet in our Solar System on Tuesday, July 14. Notably, today’s image showing Pluto’s ‘heart-shaped’ surface feature proves that New Horizons is now fully back in business following the nail-biting July 4 weekend anomaly that unexpectedly sent the probe into a protective status known as ‘safe mode’ and simultaneously sent mission engineers and scientists scurrying to their computer screens to resolve the scary issues and recover the probe back to full operation – just in the nick of time. The intriguing ‘heart’ is the brightest area on Pluto and “may be a region where relatively fresh deposits of frost—perhaps including frozen methane, nitrogen and/or carbon monoxide—form a bright coating,” say mission scientists. While in ‘safe mode’ all science operations were temporarily halted for nearly three days as the spacecraft inexorably zooms towards mysterious Pluto and its quintet of moons for our first up close reconnaissance of the frigid world and the Kuiper Belt. Read my earlier story from July 6 here detailing how the science team and NASA resolved the July 4 anomaly and restored New Horizons to normal operations with little time to spare for its one time only flyby of the other ‘Red Planet’. The close encounter sequence last for 9 days and it will take 16 months to relay back the vast quantity of data to be collected. The view of Pluto’s ‘Heart’ was taken by the Long Range Reconnaissance Imager (LORRI) when the spacecraft was just under 5 million miles (8 million kilometers) from Pluto, and is the first to be received back on Earth since the anxiety rush caused by the July 4 anomaly. The heart covers nearly half of Pluto’s now well resolved disk. Above ‘the whale and the heart’ lies Pluto’s polar region that images show is intermediate in brightness. NASA also released another perspective view of ‘the whale and the heart’ as seen below. Be sure to keep this entire area in mind – as if your appetites haven’t been whetted enough already – because “this view is centered roughly on the area that will be seen close-up during New Horizons’ July 14 closest approach,” says NASA. 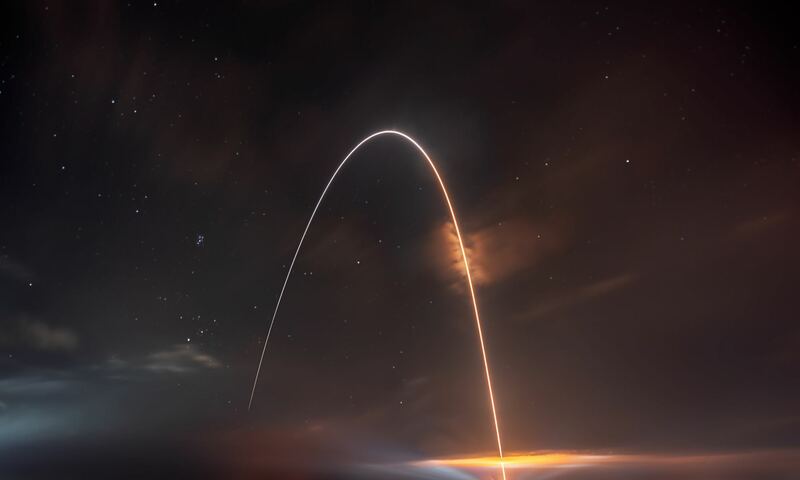 “The New Horizons spacecraft and science payload are now operating flawlessly,” Alan Stern, New Horizons principal investigator, Southwest Research Institute, Boulder, Colorado, announced at the July 6 post anomaly media briefing. The nature of Pluto’s features that may appear to resemble craters or volcanoes is not yet known. “We should be very cautious in interpreting these features,” Stern told Universe Today. New Horizons will swoop to within about 12,500 kilometers (nearly 7,750 miles) of Pluto’s surface and about 17,900 miles (28,800 kilometers) from Charon during closest approach at approximately 7:49 a.m. EDT (11:49 UTC) on July 14. Here’s Hydra! The New Horizons team spotted the tiny moon of Pluto in July, about six months ahead of when they expected to. You can check it out in the images below. The find is exciting in itself, but it also bodes well for the spacecraft’s search for orbital debris to prepare for its close encounter with the system in July 2015. Most of Pluto’s moons were discovered while New Horizons was under development, or already on its way. Mission planners are thus concerned that there could be moons out there that aren’t discovered yet — moons that could pose a danger to the spacecraft if it ended up in the wrong spot at the wrong time. That’s why the team is engaging in long-range views to see what else is lurking in Pluto’s vicinity. “We’re thrilled to see it, because it shows that our satellite-search techniques work, and that our camera is operating superbly. But it’s also exciting just to see a third member of the Pluto system come into view, as proof that we’re almost there,” stated science team member John Spencer, of the Southwest Research Institute. Hydra was spotted using the spacecraft’s Long Range Reconnaissance Imager (LORRI), which took 48 images of 10 seconds apiece between July 18 and July 20. Then the team used half the images, the ones that show Hydra better, to create the images you see above. The spacecraft was still 267 million miles (430 million kilometers) from Pluto when the images were taken. Another moon discovered around the same time as Hydra — Nix — is still too close to be seen given it’s so close to Pluto, but just wait. Meanwhile, scientists are busily trying to figure out where to send New Horizons after Pluto. In July, researchers using the Hubble Space Telescope began a full-scale search for a suitable Kuiper Belt Object, which would be one of trillions of icy or rocky objects beyond Neptune’s orbit. Flying past a KBO would provide more clues as to how the Solar System formed, since these objects are considered leftovers of the chunks of matter that came together to form the planets.